Jim is a retired Partner in the firm of PricewaterhouseCoopers LLP and spent almost forty years with the firm providing professional services to large multi-national companies. In addition, he served in various global and US leadership roles in the firm, including serving as a member of the firm’s Board of Partners and Principals. Jim started his career in Charlotte and relocated over the years to the firm’s offices in Memphis, Houston, Dayton/Cincinnati, Minneapolis, New York and San Jose. In addition, he spent considerable time serving a major client of the firm in Japan. Jim retired from PricewaterhouseCoopers in 2009 and currently serves as a member of the firm’s Retired Partners Committee. Jim served as President of the Alzheimer’s Association/Greater Houston Chapter and as the Treasurer of Big Brothers and Big Sisters of Greater Memphis and on the board of directors of these organizations as well as the National Conference of Christians and Jews – Memphis Chapter, the Japan/American Society of Houston, the School of Advanced Research in Santa Fe and the Cancer Foundation for New Mexico. Jim is a member of the board of the Museum of New Mexico Foundation where he serves as treasurer. 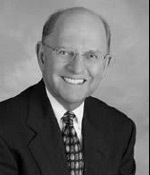 Jim serves on the Board of Los Alamos National Bank and is a member of the Audit Committee of the New Mexico State Investment Council. Jim graduated from Virginia Polytechnic Institute and State University in 1970 with a BS in Accounting and served on the Advisory Board for the Accounting Department. He was a Certified Public Accountant from 1973 until his retirement. Jim and his wife, Gail, reside in Santa Fe where they have maintained a home for over 20 years.